Will China be a superpower by 2038? How close will India be in 2038? How well will China and India innovate – to 2017? 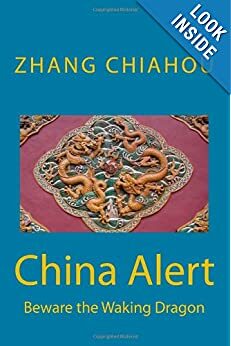 aims to alert you to the threats and opportunities that China and India present. China and India require serious attention; case of ‘hidden dragon and crouching tiger’. Without this attention, governments, businesses and, indeed, individuals may find themselves at a great disadvantage sooner rather than later. The POSTs (front webpages) are mainly 'cuttings' from reliable sources, updated continuously. The PAGEs (see Tabs, above) attempt to make the information more meaningful by putting some structure to the information we have researched and assembled since 2006. When Telangana announced a three-week window for free registration of land that had exchanged hands via handwritten notes on plain paper, the offer triggered more than a million applications. All over the state the sale of land on notes known as “sada bainamas” has been customary because of widespread inability to pay the registration fees, illiteracy or ignorance of the law. Around a million farmers in Telangana lack secure title to land bought this way, according to a 2014 survey carried out in the state by Landesa, a U.S. based charity . Guram Muttaya is a beneficiary of the registration drive and one of many farmers who occupy land they have been cultivating for 30 to 40 years on the strength of informal documents. “Registering the land will bring me government agriculture loans, compensation for crop damages and crop insurance too,” Muttaya told the Thomson Reuters Foundation, holding up a torn piece of paper bearing a signature. The piece of paper is his only proof of ownership of a fifth of a hectare of land he bought in Kannayapally village 27 years ago for $67 and whose market value has risen to $3,000. Studies have shown that broadly distributed secure land rights for farmers can help to pull families out of poverty and boost sustainable economic development. Monks at Shaolin Temple in Henan province have been harvesting wheat as a method to practice Buddhism, the China News Agency reported on Thursday. The 1,400-year-old temple, famed as the birthplace of Chan (Zen) Buddhism and martial arts traditions, operates a farm of of about 70 hectares where they grow wheat, corn, vegetables and herbs. During the wheat reaping season in June, groups of monks cut the crops, thrash the grain, bag it and carry it to the barn. “Farming is also a kind of self-cultivation,” said Shi Yanzi, the monk in charge of the farm. “We farm with the spirit of Zen, and plough and sow in our own mind too. ”Shaolin’s millennium-long tradition of farming was interrupted in the past decades, but was resumed by head abbot Shi Yongxin in recent years. Shi believes producing food in the temple’s fields can also ensure food safety. The Shaolin temple farm also opens to tourists to experience harvesting fresh vegetables or fruit. Krishna, 32, a farmer in Singamaranahalli, about 30 km from Hunsur in Mysuru district, consumed pesticide and died in the first week of June. The sesame farmer with three acres of land could not survive the debt trap he was in. He had defaulted on repayment to a local cooperative bank, fallen into the clutches of moneylenders, the water table had dropped, and his borewells had run dry. Having lost all hope of repaying the loans, he decided to end it all. In the last fortnight alone, 50 farmers have committed suicide in Karnataka. The State Agriculture Minister Krishna Byre Gowda admits “it is alarming”. What is puzzling is that cases of farmer suicides had actually dropped over the last two years and have now suddenly begun to increase from mid-June onwards. The suicides point to two things: first, a serious agrarian crisis shaped by an increase in cultivation costs and a decline in agricultural income, which is pushing farmers into a debt trap; and second, the sociological pressures that farmers face because of the disparity between their income and those in urban areas. Vivek Cariappa is an organic farmer from Mysuru. He talks of the insecurity among farmers because neither the State nor institutional mechanisms have been able to address the crisis. It is difficult to get crop loans, he says, but loans for consumption goods like cars, or personal loans for weddings and festivals are easily available. It is the surest way to push farmers into debt. In Panakanahalli in Mandya district, Mahesh took a loan for his sister’s marriage. In Kestur village of Chamarajanagar district, Nanjundaiah borrowed Rs. 30,000 from a bank and Rs. 4 lakh from moneylenders to get his daughters married. Both farmers were unable to repay the loans and committed suicide. The problem is also sociological: Farmers who aspire to the lifestyle of salaried persons end up taking loans, sometimes at 60-80 per cent interest rates, and become prey to loan sharks. For most farmers across the State, what were once considered luxury items such as cars have now become aspirational necessities. Kurubur Shanthakumar, President of the State Sugarcane Growers’ Association, talks of how he followed his father’s footsteps and became a farmer, but his son wanted to study in Mysuru. This ended up costing Shanthakumar a sizeable sum of money. The pressure is most severe in areas close to the big urban centres of Mysuru and Bengaluru, but is true in general all over, points out G.K. Veeresh, former chairman of the State government’s committee that studied farmer suicides in 2002. Then, mono-cropping had been seen as a major cause for suicides. Mr. Veeresh talks about how farmers had a tendency to focus on a single crop if it had seen commercial success. The problem was, when it failed, they faced total collapse. More than land holding, says Mr. Veeresh, crop planning is the bigger issue. Farmers must be educated to see the long-term benefits of “multi crop-multi income” farming. But this time around, the farmers who committed suicide don’t appear to have stayed with one crop. Yes, some sugarcane farmers have faced a major crisis after sugar factories, mostly owned by powerful politicians, defaulted on payments, but they have not accounted for the majority of suicides. T.N. Prakash, Chairman, Karnataka Agriculture Price Commission, speaks of the urgent need to address the issue of rising input costs when incomes stay stagnant. One suggestion Mr. Prakash makes is interesting. He says that the Agriculture Price Commission could instead become a commission for agricultural cost, prices and farmer’s incomes, which would give it more authority to implement suitable measures. Another reason could be a glut in production. Mr. Cariappa and Mr. Shanthakumar point out that the State, despite having records of the area under sugarcane cultivation and the crushing capacities of sugar mills, has turned a blind eye to excessive cultivation. This has kept prices low enough to benefit the sugar mills owned by politicians. This glut is true for cotton, tobacco and other crops as well. Excess production helps processing industries, as it ensures that the prices of raw materials stay low and they profit from it. There is also “mass hysteria” when a farmer commits suicide, and it may result in others taking the same step. Politics over farmer suicides and the wide publicity they get tend, in a way, to “glorify” suicides and worsen the situation, says Mr. Veeresh. via Farmer suicides in Karnataka – The Hindu. China will spend about 26 billion yuan (HK$33 billion) to help identify and register the contractual rights over the nation’s arable land to pave the way for rural reforms. More than 200 million rural households around the nation will be interviewed to help prepare the accurate record of farming rights. Calling the task a “massive systematic project”, the Ministry of Agriculture said on Friday that clarifying land tenure and issuing certificates to farmers would form the basis of a series of expected reforms which aimed to help free up the rural land market. Nearly 200,000 villages around the country – or one third of the total – have begun with the task, by aerial photography or site measurement, said MOA officials in a press conference. Zhao Kun, a deputy inspector of the ministry’s rural economic system department, said local governments had appropriated a total of 8 billion yuan to carry out the job. The central government has promised to provide 10 yuan for each mu of arable land – the Chinese unit of land area, which measures 666 square metres – a total of 18 billion yuan according to official data that states the mainland had 1.82 billion mu of farmland up to the end of 2011. The Land Administration Law states that the ownership of rural land belongs to village collectives, with farmers given contractual rights to the land they farm for 30 years. The central authorities decided to increase the security of land tenure in 2008. A directive issued that year said that contractual land management rights for farmers should “remain unchanged for a very long time”. However, unlike urban home owners, rural residents do not yet hold any certification to prove their legal rights to their homes and farmland. This makes it hard for them to transfer the land, which is forbidden by existing regulations but now being reformed in order to encourage larger scale farming and improve utilization efficiency of rural land. Zhang Hongyu, head of the rural economic system department, said when farmers were given contractual rights of farmland in the first round of rural reform a few of decades ago, there were only rough estimates made about the size of their land plots owing to limitations over measuring methods at the time. “Any related document the farmers previously had – either a contract or some other sort of certificate – showed different figures from what we are now finding,” he said. Zhao said the project was not only a technical issue of measurement. “It also involves interviews with each of the more than 200 million rural households [around the nation], which are really important for farmers as they need to know how big their plots are and where they’re located,” he said. via China to spend 26 billion yuan to register rights ahead of rural reforms | South China Morning Post. Nearly 90 lakh farmers in Maharashtra have been impacted by the drought that has devastated the kharif crop, official data shows. The figure is almost on a par with the population of Sweden. Maharashtra is already known for its farm crisis and reports the highest number of farmer’s suicides in the country. The drought — brought on by a delayed and inadequate monsoon — is set to deepen the distress for its cultivators. It comes close on the heels of the crop distress wreaked by the hailstorms last year which hit cultivators hard. Data with the agriculture department show that two-thirds of the state’s 1.37crore farmers have been affected by the drought which has impacted mainly the Marathwada and Vidarbha regions. These areas have historically been the most deprived in the state. via Drought hits 90 lakhs farmers in Maharashtra – The Times of India. China, the world’s top producer of rice and wheat, is seeking to cap the use of chemical fertilizers and pesticides that have helped to contaminate large swathes of its arable land and threaten its ability to keep up with domestic food demand. More than 19 percent of soil samples taken from Chinese farmland have been found to contain excessive levels of heavy metals or chemical waste. In central Hunan province, more than three quarters of the ricefields have been contaminated, government research has shown. China is the world’s top consumer of pesticides but almost two thirds of pesticides are wasted, contaminating both land and water, an environment official said last year. “We need to be determined to control the use of fertilizer and pesticides,” said chief economist at the agriculture ministry Bi Meijia. Zhejiang province in eastern China plans to cut the use of nitrogen fertilizer by 8 percent in the next three years, Bi said, and the whole country could cap the growth in use of fertilizer and pesticides by 2020. Still, China is aiming to remain self-sufficient in its staple crops, even as it moves to control pesticide and fertilizer use, Bi and another agricultural official said. China recorded a bumper grains harvest in 2014, with output up about 1 percent to 607.1 million tonnes, official data showed, the 11th consecutive year of rising production. 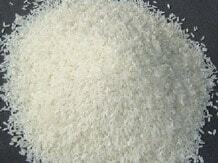 via China looking to curb fertilizer, pesticide use | Reuters. Kavita Devi has spent 50 years farming the way her elders taught her. Until recently, that meant working other people’s land in the northeastern Indian village of Gosaibigha in exchange for 10 pounds of rice once a season. But since July, twice a month she’s been joining about 30 women neighbors in saris who file into a makeshift movie theater in a buffalo shed, where they watch videos from a battery-powered, handheld projector shown on a fuzzy brown blanket hung on a wall. In the videos, which run for 8 to 10 minutes, women from nearby villages demonstrate ways to boost rice yield by spacing the seedlings farther apart and using compost instead of fertilizer. “They look very successful,” Devi says later. “I would like to be one of them.” Since July she’s been leasing a small patch to plant her own crops. Technology is transforming the way women like Devi farm. In rural India, impoverished women do most of the labor using methods passed down for millennia. About 100,000 (mostly male) government and private agricultural experts roam the country to teach farmers modern techniques. But fewer than 6 percent of farmers have ever seen one, according to the World Bank, and women are often excluded from those training sessions because they lack legal rights to their husbands’ land. Digital Green, a nonprofit founded by Microsoft (MSFT) researchers, is trying to change that. The group distributes pocket cameras and tripods to local women and trains them to storyboard, act in, shoot, edit, and screen videos demonstrating farming innovations. Because the villages where the women work often lack reliable electricity, it’s all done via battery-powered projectors. Women who screen the videos keep track of attendee questions and monitor adoption of the practices to help directors improve later versions. Using the audience’s peers as actors is particularly important, says Rikin Gandhi, Digital Green’s co-founder and chief executive officer. “Viewers identify with those featured in videos based on dialect and appearance, etc., to determine whether it is someone they can trust,” he says. Villagers will tune out if they see items that aren’t common in their communities, such as a plastic bucket or a watch. via India’s Farming Women Use Cameras to Share Lessons – Businessweek. India’s summer-sown rice output is likely to cross the previous year’s level due to a pick up in monsoon rains, raising prospects for higher overseas sales in 2015 by the world’s biggest exporter of the grain, trade officials said. Robust exports from India could keep a lid on global prices that have surged 12% in the past three months and help cut bulging government stockpiles built as a result of bumper harvests over the past several years. “There were concerns over production due to poor rainfall in June. The pick-up in rains from mid-July changed the situation. Now, the crop is in good shape,” said B.V. Krishna Rao, managing director of Pattabhi Agro Foods Pvt Ltd, a leading exporter. In June, monsoon rains were 43% lower than the 50-year average, raising concerns about output of the rice crop that guzzles a lot of water. But rains picked up in the past few weeks, narrowing the rainfall deficit to 11%. “Overall rice production will definitely be higher than last year but it is a little early to quantify by how much,” said Rajen Sundareshan, executive director of the All India Rice Exporters Association. via India’s rice output, exports to climb on revival of monsoon | Business Standard News. Roger Mu, an entrepreneur from Texas now living in Shanghai, scoured local markets for jalapeño peppers but to no avail. Homesick for homemade salsa, he eventually decided to grow his own. Since he was iving in a cramped Shanghai apartment with no outdoor lawn or garden, this wasn’t a simple proposition. But he did have some space available: in the closet. Mu studied manuals about hydroponics, a technique for growing plants that doesn’t require soil but rather uses nutrient-infused water to deliver plant nutrition. The plants’ roots find support by growing around pebbles, sand, woodchips, or anything granular they can weave around, rather than soil. It’s perfect for limited space—and limited small-scale farming. Mu used a special light borrowed from a video-production company to jump-start photosynthesis. via The Chinese Turn Their Rooftops (and Closets) Into Minifarms – Businessweek. China has a fifth of the globe’s population but only 7 percent of its available freshwater reserves. Moreover, its water resources are not evenly distributed. The lands north of the Yangtze River—including swaths of the Gobi desert and the grasslands of Inner Mongolia—are the driest, but more than half of China’s people live in the north. Water is not well managed in China. Nearly two-thirds of water withdrawals in China are for agriculture. Due to the use of uncovered irrigation channels (leading to evaporation) and other outdated techniques, a significant portion of that water never reaches the field. A new paper by scientists in China, Japan, and the U.S. published in the Proceedings of the National Academy of Sciences sounds the alarm: “China faces … major challenges to sustainable agriculture,” the authors write. Failure to conserve water resources could threaten China’s food security, a longtime priority for the country’s leaders. via Scientists Say Water Shortages Threaten China’s Agriculture – Businessweek. 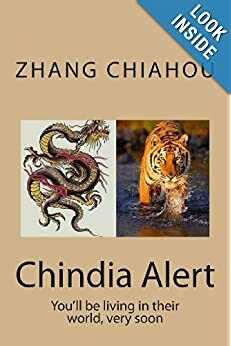 Chindia Alert: forewarned is forearmed by Chindia Alert Unlimited is licensed under a Creative Commons Attribution-NonCommercial-ShareAlike 3.0 Unported License.